I can’t believe it’s been nearly a week since I posted last. Things have been pretty crazy, to say the least. It’s been just a couple of weeks since I started working from home and while I’m really loving it, I’m not one of those people that’s very good at turning their devices off and knowing when it’s time to stop checking email. It’s certainly been an adjustment and I’ve been trying to re-train myself to take the personal time I know I need. Between my three clients, blogging, trying to buy a house and starting to plan a wedding… time off seems nearly impossible. So many days this week 6pm rolled around and I was still in my pajamas wondering where the day had gone. Don’t get me wrong, the pajama thing is awesome. But now that these first couple weeks are over, I’m definitely going to set some boundaries moving forward. I know how much of a toll stress takes and all I have to say to that is… no thank you. Even if relaxation feels like it’s impossible, it’s not. Even a few minutes can make a big difference. Next week I’ve made a promise to myself to relax a little and take some time for myself. If you haven’t tried mixing Lemon Love or Lavenade with booze, I highly recommend you get on that as soon as possible. 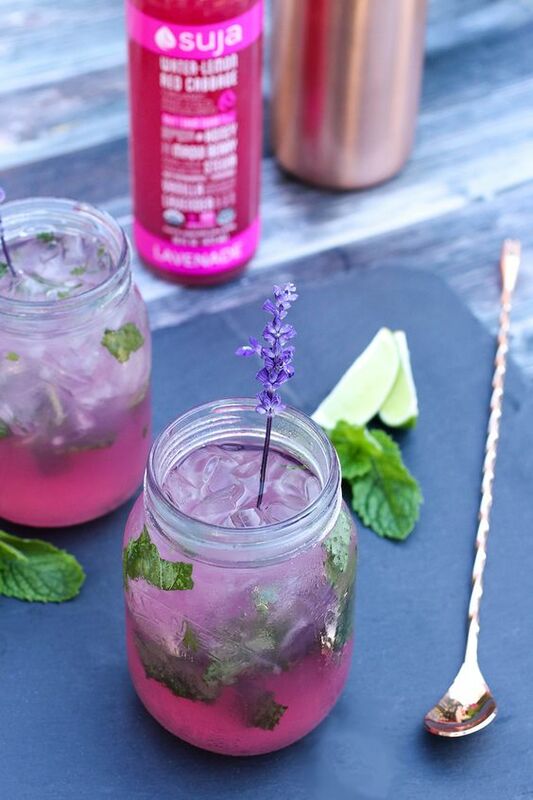 Hopefully this mouthwatering Lavenade Mojito will inspire you. 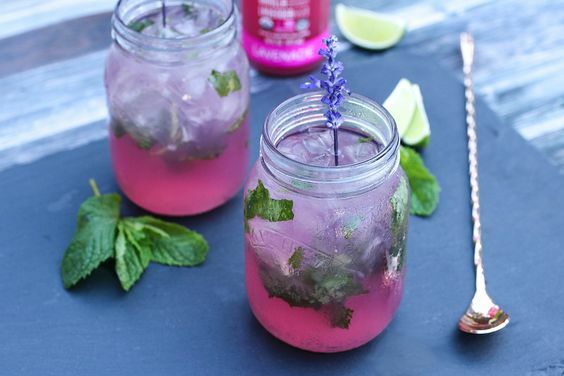 The flavors of mint, maqui berry, lavender pair together so well… not to mention the fact that each drink has less than 5g of sugar. What’s not to love?! Place 8-10 mint leaves at the bottom of a cocktail glass or mason jar. 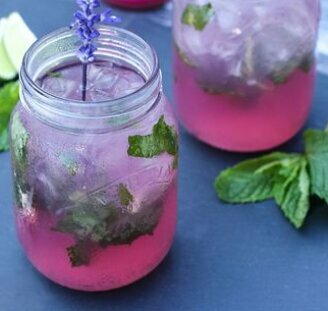 Muddle mint with 1oz Lavenade. Add lime juice and rum. Fill glass or jar with ice and shake well. 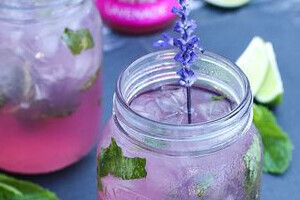 Once well combined, fill remainder of glass with half Lavenade, half Club Soda. These sounds delicious! Beautiful pictures! Why thank you, Vanessa! They’re pretty amazing!